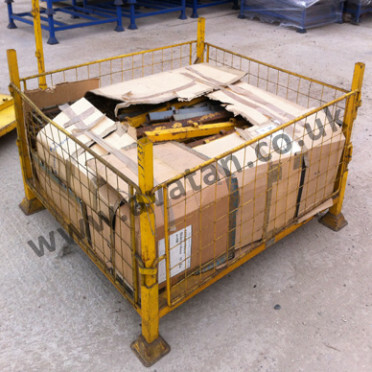 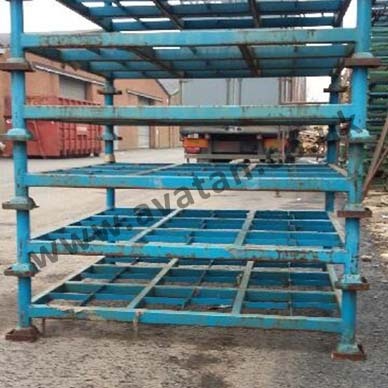 Rigid two sided box pallet with sheet steel well braced base and sheet steel sides. 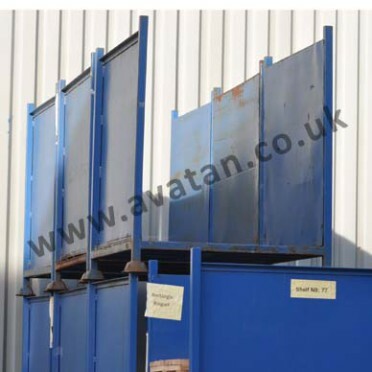 Sides welded to inside face of corner posts offering smooth interior. 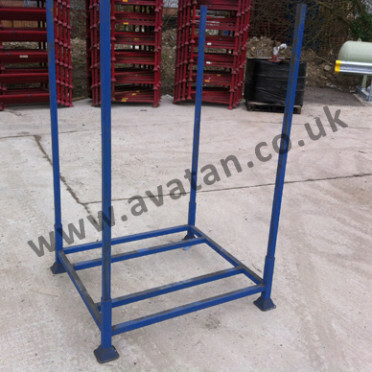 Stillage having open front and back, on short sides. 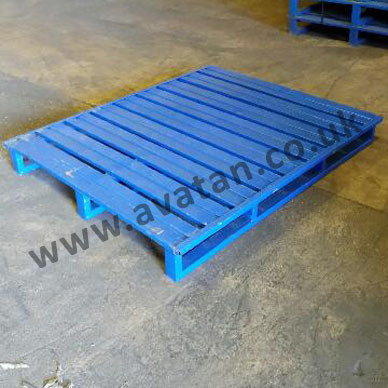 Last remaining stocks are low cost and not suitable for stacking but possibly ideal for log storage.